And just like that, we're already at the end of August! 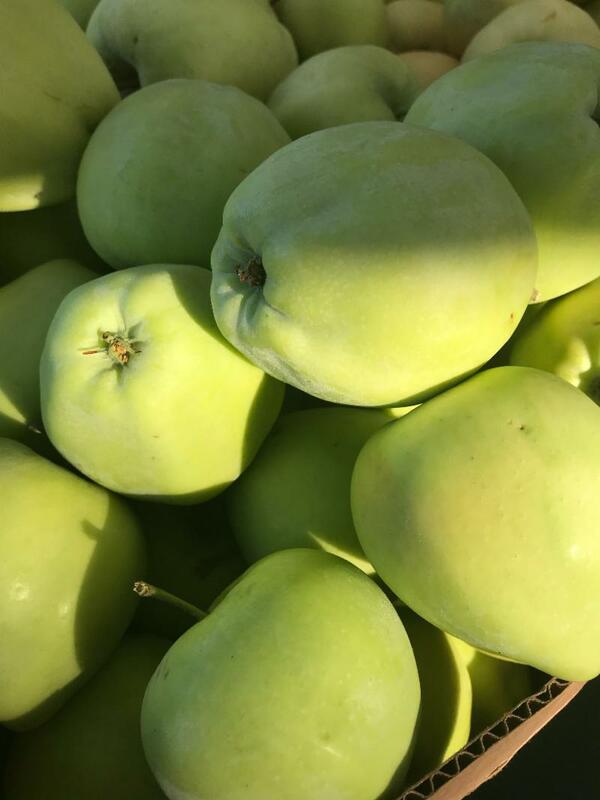 This week we slowly inch closer to fall as the temperatures finally drop out of the 90s and autumnal treats like fresh hops and crisp apples make appearances in our vendors' stalls. Stop by this Saturday to enjoy all the summer and fall treats that our farmers, foragers, ranchers, and food makers have for you. As August comes to a close we're reminded to take advantage of summer produce while its still here. 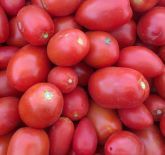 Grab full flats of tomatoes from Deep Roots Farm, Sun Gold Farm, and Flying Coyote Farm this Saturday to can and enjoy with piles of pasta this winter. 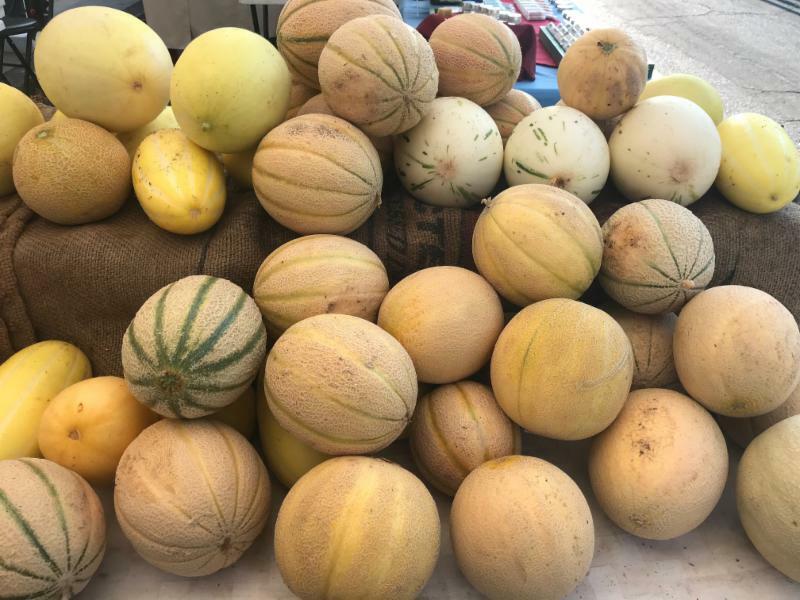 The time for melons is now! 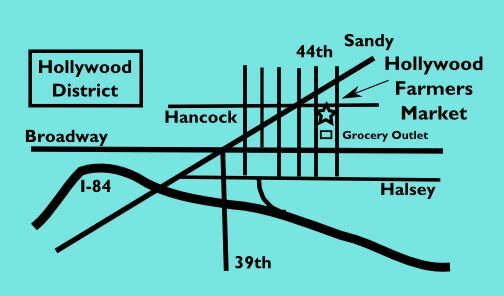 Stop by Stoneboat Farm for some unique varieties or head over to Big B Farm and Happy Harvest Farm for the classics. Apples and pears are here! Get some for snacking, for pie, or to give to your teacher on the first day of school! New varieties arriving weekly at Kiyokawa Family Orchards and ProFarm Orchards. The Hollywood Farmers Market is now accepting applications to join its Board of Directors in January 2019! Board membership is a terrific opportunity for volunteers, vendors and market lovers to become involved with the farmers market. Stop by our community booths at market this Saturday to chat with our current board members about the opportunity and click here for more information. Power of Produce kids program continues every Saturday! Remember, we'll be offering free, fun and educational kids activities (for ages 5 to 12) EVERY SATURDAY at the farmers market through September 1st. And kids who participate get $2 in farmers market tokens to spend on fruits and veggies. Stop by the POP Club booth this Saturday and join in! For well over 2000 years, sausages have been made in Europe. An article by Queen City Sausage in Cincinnati, Ohio tell us “It is believed that the Romans were among the first to preserve meat in sausage form. They learned with time that salt, smoking methods, and spices improved the process and the taste. By the middle ages, sausage was being made all over the continent.” This food has been important to human survival for centuries. You will even find a video at the Smithsonian on the art of making sausage. The basic method of making sausages has not changed since the first one was grilled over an open fire. Meat, whether it is beef, pork, lamb, or chicken, is ground, spices added, and finally stuffed into the casings. Today, there are tools to help grind the meat instead of hand grinding, and the all-important casings that once came only from natural sources such as intestines are now available in synthetic versions. But the best sausages continue to only use natural casings from pork or lamb. Born into a large Italian family in Kalamazoo, Michigan, it’s no wonder Jeff Garritano’s company Scratch Meats is making its mark in Portland, Oregon. I met with Jeff at his amazingly well-organized kitchen, where he shared that, in his family, Italian cooking was based on well-practiced family recipes. Each family prided themselves on specializing in cooking one of the key ingredients essential to family feasts. One aunt specialized in ravioli. Another had dominion over the sauce. Jeff’s family brought the sausages. Jeff’s family came from Calabria in Southern Italy and had brought their traditional methods to the United States, allowing Jeff to learn the art at a very young age. Even though it is in his blood, Jeff did not plan on being a sausage maker. He felt teaching was his road to happiness. But he couldn’t escape his destiny for long. After graduating with his bachelor’s degree, Jeff moved to Portland for a job and the lifestyle. This was during 2003, and the country was still in a recession. Teaching jobs were scarce. To increase his value as a teacher, he moved to Italy for his master’s degree in Montessori education. Upon graduation, he was not ready to return to the U.S. Over the next three years Jeff traveled much of Europe─ giving him time to sample some of each country’s best sausages. But Portland called him back, and upon his return, Jeff got a job at the Hollywood Whole Foods in the meat department. There he learned how to use the big meat grinders and other large equipment for processing the meat and making sausage. However, he was soon got a job teaching science and math for seventh and eighth graders. In his spare time and with spare money, he bought some equipment and started making his family’s original Italian sausages. At gatherings with friends, there were never any leftovers. Soon, his friends were asking to buy them. An email list of interested friends was started. It expanded to include friends and then friends of friends. New people were constantly being added. The number of people buying the meaty links grew and grew some more. Finally, one summer during school break, Jeff had made enough merchandise to try his hand at a farmers market. He set up his booth at the Montevilla Farmers Market. Not expecting much, he was surprised at his success. This was enough to inspire him to enter additional markets. Jeff continued teaching for a couple more years ─ working the markets only during the summer months. Then in 2014, he reached a tipping point. He could no longer do both, and jumped into the business full time. 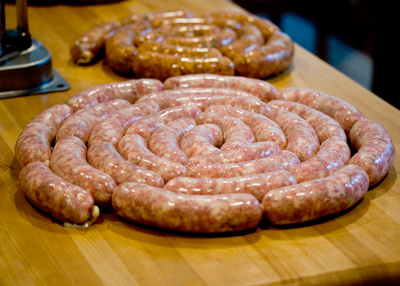 Scratch Meats’ sausages are only sold at 13 farmers markets and some local restaurants. Keeping distribution small allows Jeff to focus on producing high-quality, authentic sausages from local, grass-fed cows, pigs, lambs, and free-range chickens. In addition, at some of the smaller farmers markets, the company offers steaks and ground cut meats. 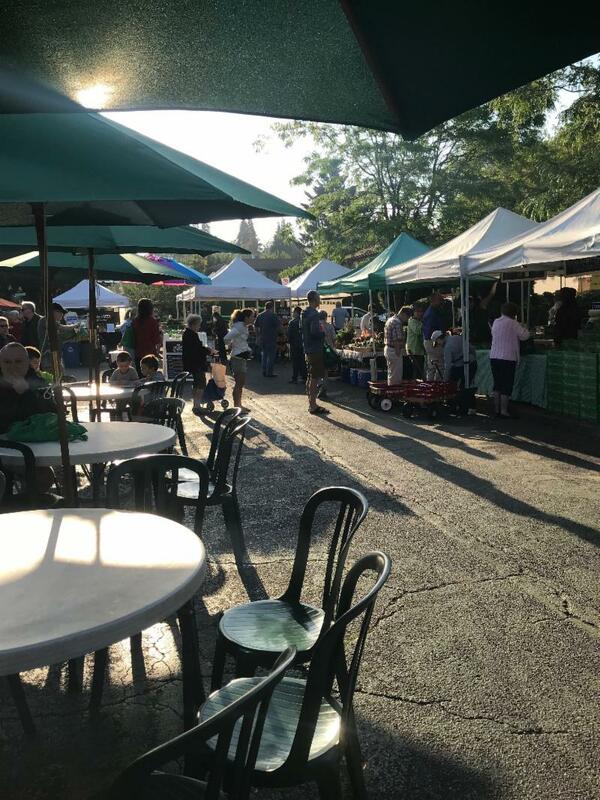 The Hollywood Market (HFM) became a regular market in 2016, after Jeff met Francesca, the HFM manager, at the Hillsdale Farmers Market. Every Saturday, Rachel or one of the other employees are cooking up samples at their booth. Roma tomatoes are the best variety for canning and making sauce, as they are less juicy than other varieties. And, unlike most Roma tomatoes you get in the grocery stores that are picked green, Deep Roots lets them ripen on the vine so they have that excellent tomato flavor! Attention brewers and other hops fans! Dancing Light Ranch will have fresh hops at the market this Saturday, including Cascade, Santiam, Willamette, Goldings and Nugget varieties. Even if you don't brew beer, hops make a great "sleepy-time" tea! This is truly an Oregon whiskey - made from 100% malted barley from the Klamath basin, and aged in new American oak barrels for five years, experiencing Western Oregon's distinct four seasons.